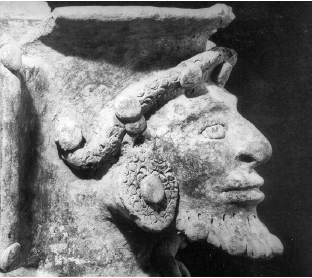 WHO WAS THE CHRIST-LIKE FIGURE THAT WALKED ANCIENT AMERICA? "The Pale Prophet" who visited the Americas in the first century A.D. certainly knew how to make an entrance the people would never forget. And the full story is told in what I, as the author, believe to be an exciting new book titled “The Search for the Pale Prophet in Ancient America,” published by my associate Tim Beckley’s Global Communications. 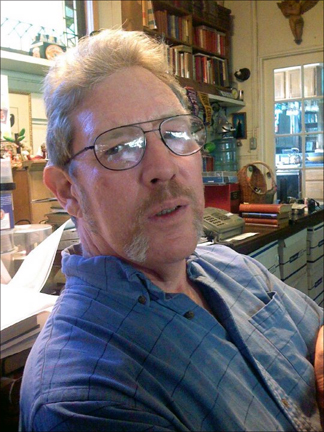 Beckley is now co-hosting, along with Tim R. Swartz, the podcast “Exploring the Bizarre” on the KCOR Digital Radio Network. According to ancient native lore, when the Fair God first arrived at the Polynesian Islands it was with three ships with giant sails like enormous birds with wings uplifted, glowing goldenly in the dawn light. The people watching the events were frozen to immobility. “What manner of monsters are these with the great wings?” they asked in awe. “Perhaps they have come to devour the people!” shouted one native. Putting aside for the time being the idea that we’re dealing here with Jesus Christ himself, again displaying his ability to walk on water as recorded in the Christian Gospels, what we have here is a classic example of the “ancient astronauts” approach to the flying saucer mystery. A relatively primitive indigenous culture is confronted with what may be technological marvels that the natives ascribe to “gods” with abilities far beyond their comprehension. The ships with sails like huge birds with wings uplifted, for one, may be an attempt to describe a kind of flying craft that wasn’t some form of a “boat” at all. But none of the great “ancient astronauts” researchers, from Erich von Daniken to Zechariah Sitchin to Brinsley LePoer Trench, have ever covered the same territory as the late anthropologist L. Taylor Hansen, who spent decades traveling among the Native-Americans and collecting their legends regarding the Healer, the Prophet, the Miracle Worker, God of the Dawn Light, the Wind God, the Teacher, the White-Robed Master. Although the names are different, the legends are chanted and sung the same. Very little is known about L. Taylor Hansen, who died in 1976. One thing that is known, however, is that her first name was Lucile, which she shortened to “L” so that she could pass herself off as a man, at least in literary terms. In 1918, while still a college student, she spent her summer vacation with the Chippewa Indian tribe in Michigan. According to writer Bette Stockbauer, who provides some of the scant biographical material available on Hansen, this interest was more than scholarly. The Chippewa’s language and dances, their culture and religion, struck a richly harmonic chord in Hansen’s soul. Dark Thunder, the Chippewa chief, shared with young Hansen much of the tribal knowledge and told her of a Holy Man who had visited the tribe in long ago times. This man came to the Native Americans when their empire was united and their great cities stretched for miles. Wherever the Holy Man went, the miracles followed, and always He spoke of the Kingdom of His Father. At the Indian council meeting, Hansen was charged with the mission of recording the legends of the Pale Prophet for posterity. 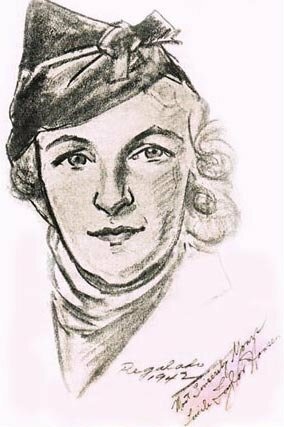 But in the meantime, in order to meet her expenses, she sold science fiction stories to pulp magazines, disguising herself as a man so she could succeed in a field completely dominated by the male element. 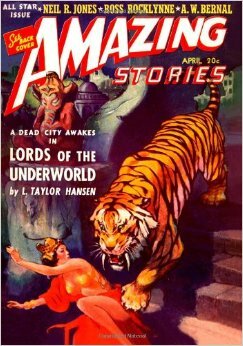 In the 1940s, she was given space for a regular column in “Amazing Stories,” a sci-fi pulp magazine, to air her nonfiction views on the current state of anthropology and archaeology. Ray Palmer, the magazine’s legendary editor, not only published her “Scientific Mysteries” columns, he would also eventually publish “He Walked the Americas” in 1963 through his Amherst Press company and thus is an important figure in the overall story as well. 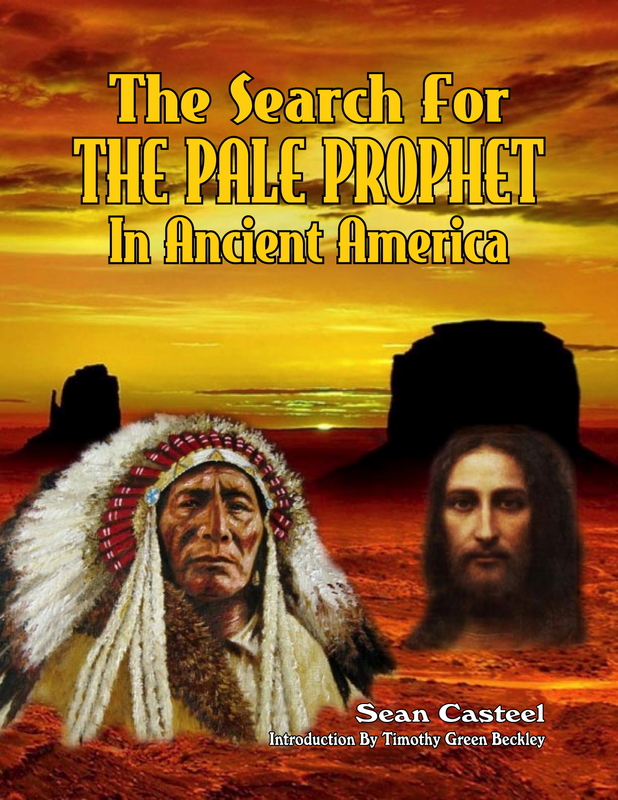 All of the foregoing is contained in “The Search for the Pale Prophet in Ancient America.” In the first section of the book, I summarize and quote from Hansen’s “He Walked the Americas” as well as adding my own Biblical insights and correlations not present in the original text of Hansen’s groundbreaking work. I think perhaps Hansen felt she was writing for the more “Biblically-literate” audience of her own time, or maybe she felt that the Biblical correlations were so obvious that they didn’t need to be spelled out for the reader. In any case, I DID spell them out, and I hope it makes understanding the legends of the Pale Prophet a little easier. The more overt relationship of the legends to the Gospels will be dealt with in a separate article. Let us now return to the “ancient astronauts” view and the aforementioned essays by Hansen. In a piece called “Tribal Memories of the Flying Saucers,” reprinted in full in the new Global Communications release, Hansen disguises herself as a Navaho Indian named Oga-Make. But the style of the writing is unmistakably her own even as she hides behind one of her known pen names, an identity that is again male along with being a pseudonymous Native American. This is the price she had to pay in the pre-feminist years of the late 1940s, when the essay was originally published. “Most of you reading this,” the essay begins, “are probably white men of a blood only a century or two out of Europe. You speak in your papers of the Flying Saucers or Mystery Ships as something new and strangely typical of the twentieth century. How could you but think otherwise? Yet if you had red skin, and were of a blood which had been born and bred of the land for untold thousands of years, you would know this is not true. “You would know,” the essay continues, “that your ancestors, living in these mountains and upon these prairies for numberless generations, had seen the ships before and had passed down the story in the legends which are the unwritten history of your people. You do not believe? Well, after all, why should you? But knowing your scornful unbelief, the storytellers of my people have closed their lips in bitterness against the outward flow of this knowledge. Oga-Make/Hansen then shifts to a dialogue with the aged chief of the Paiute tribe. The flying saucer occupants, the Hav-musuvs, first came to the area in large rowing ships before the land became a dry desert. After the waters dried and the rowing ships were no longer of use to them, they created “flying canoes,” which grew to become large silver ships with wings. The Have-musuvs built a city in the nearby caverns, where they dwelt in peace and were far removed from the bloody warfare of the other local violently combative tribes. “Have you ever seen a Hav-musuv?” Oga-Make/Hansen asked. The chief described the appearance of the Hav-musuvs. 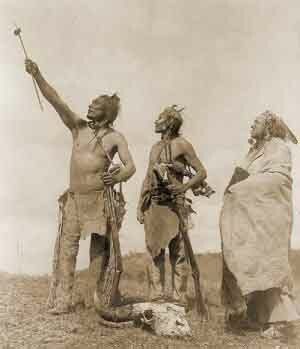 The chief tells a fascinating legend said to have happened many years before the coming of the Spanish. A Paiute chief lost his bride to sudden death. In his overwhelming grief, he went seeking the Hav-musuvs in order that they put him out of his misery with their deadly silver tube. As the mournful chief climbed the last mountain on his quest, one of the men in white appeared suddenly before him, brandishing the silver tube and motioning the chief back. The chief made signs that he wished to die and continued onward. Then others of the Hav-musuvs appeared and decided to take the chief with them. Many weeks after his people had mourned him for dead, the Paiute chief came back to his camp. He had been in the giant underground valley of the Has-musuvs, he said, where white lights which burn day and night and never go out, or need any fuel, lit an ancient city of marble beauty. There he learned the language and history of the mysterious people, giving them in turn the language and legends of the Paiutes. He would have been content to stay among them forever in the peace and beauty of their life, but they bade him return and use his new knowledge for the people. Oga-Make/Hansen then asks the current Paiute chief if he believed the story. The flying saucer occupants, the Hav-musuvs, first came to the area in large rowing ships before the land became a dry desert.